Having been in the legal business for more than 100 years, the values we hold today have been forged and honed by four generations of lawyers. TSIMIKALIS KALONAROU was founded in 1911 by Athens attorney Constantinos Papapanos, whose practice enjoyed an excellent reputation particularly among international clients. A man of vision and foresight, he had handpicked a small group of lawyers to work with him Their mission was to provide practical, results-oriented advice as leaders in their profession at the forefront of the latest legal developments. The same values and commitment to excellence have guided the firm ever since. Athens attorney Constantinos Papapanos establishes the firm. Platon Tavlaridis who was Mr Papapanos’ most trusted associate assumes the management of the firm. The firm’s IP department comes into existence when the firm receives the first instructions to recover trademarks of foreign businesses that had been seized by the Greek State following the end of WW II. Amalios Tsimikalis who had served as the legal counsel of the National Bank of Greece and as Secretary General of the Greek Ministry of Commerce joins the firm. The firm is registered as an official Partnership at the Athens Bar association. We strive to provide direct, clear and accurate advice, taking into account the particularities of each case, understanding that the need for legal advice is often dictated by prevailing circumstances, and fully aware that no two cases are identical. This means tackling the challenges our clients face by devising a workable solution using commercial nous, thereby allowing them to focus on what is most important to them. To succeed in this, we believe it is essential to approach each matter in a practical spirit, carefully listening to our client’s needs and wishes at all times. It is our belief that this type of advisory work requires a profound understanding of the sectors in which our clients operate, a commercial approach to the legal aspects of their dispute or proposed business venture and a genuine commitment to promoting their best interests. The values that have been passed down from the firm’s first generation of lawyers to the present one are the yardstick against which we measure everything we do. Knowing that teamwork is key to achieving successful results, we approach all matters in a spirit of cooperation which brings together a mix of people with different backgrounds and expertise from across our practice areas. Our nimble structure, strong legacy and core philosophy enable us to achieve excellent results for our clients in complex and challenging legal matters. In an increasingly competitive and globalized marketplace, we believe that forging strong relationships with our partners abroad and creating a reliable international network with leading law firms around the world best serves our clients’ interests. Whilst having seen that exposure to different legal cultures and interaction with foreign professionals expands our horizons, the firm’s practitioners often travel abroad to attend events and conferences. Moreover, Tsimikalis Kalonarou is a member of JCA International, a network of independent commercial law firms that specialize in providing legal support to enterprises operating internationally. JCA International was founded in 1995 with the aim of creating a network of European law firms. Its members provide their clients with services of a comparable standard and quality in the course of cross-border transactions. JCA’s strength lies in close personal relationships between members as well as a high standard of service in terms of quality and competence. We constantly endeavour to improve our level of service and work hard to maintain the reputation we have built. Our goal is to stand out in our chosen practice areas. These efforts keep yielding results, particularly in the field of Intellectual Property, for which our firm has consistently been recognized as a Top Tier firm in The Legal 500 guide and partners Athanasios Tsimikalis and Stefanos Tsimikalis are highly recommended. 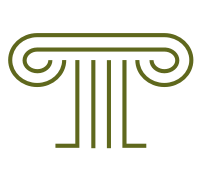 TSIMIKALIS KALONAROU is an independent law firm which was founded in 1911.